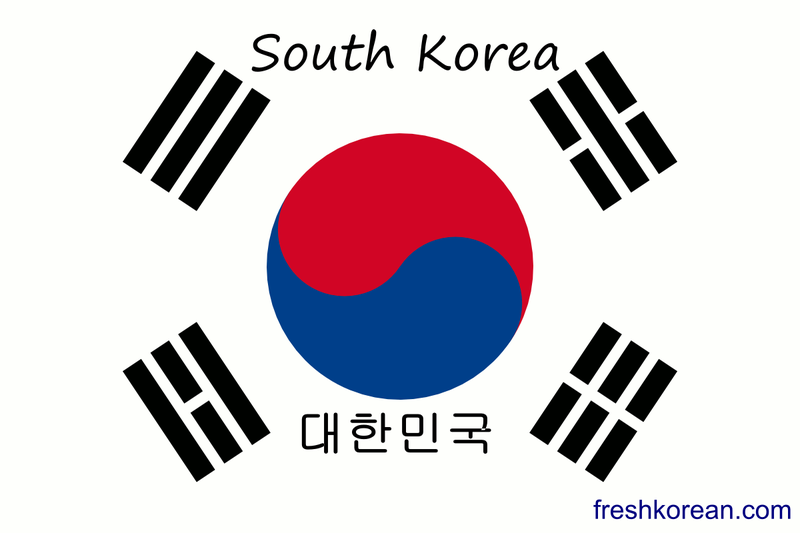 Well we are at the start of anther Fresh Korean Word of the Day Week and this week our focus is on Countries. We thought that we would start at home with South Korea or in Korean 대한민국. Thank you for your time today and please return tomorrow for country number two. This entry was posted in Korean Word of the Day and tagged Busan, Countries, Daegu, Fresh Korean, Fresh Korean Institute, Hangul, Korea, Korean, Monday, Seoul, South Korea, South Korean in Korean. Bookmark the permalink.